Destiny is a massively-multiplayer-online-RPG-first-person-shooter available for Xbox 360, Xbox One, PS3 and PS4. The Beta is only open through Sunday so get your gaming in while you can. 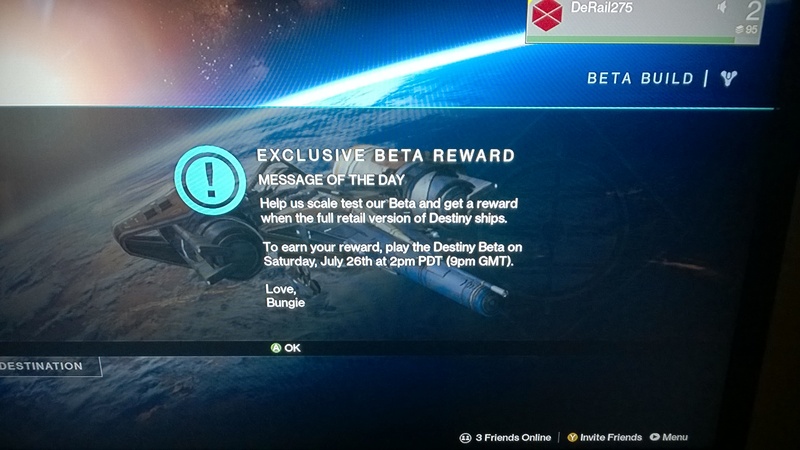 A Beta emblem will be provided upon the release of the full game to all participants.